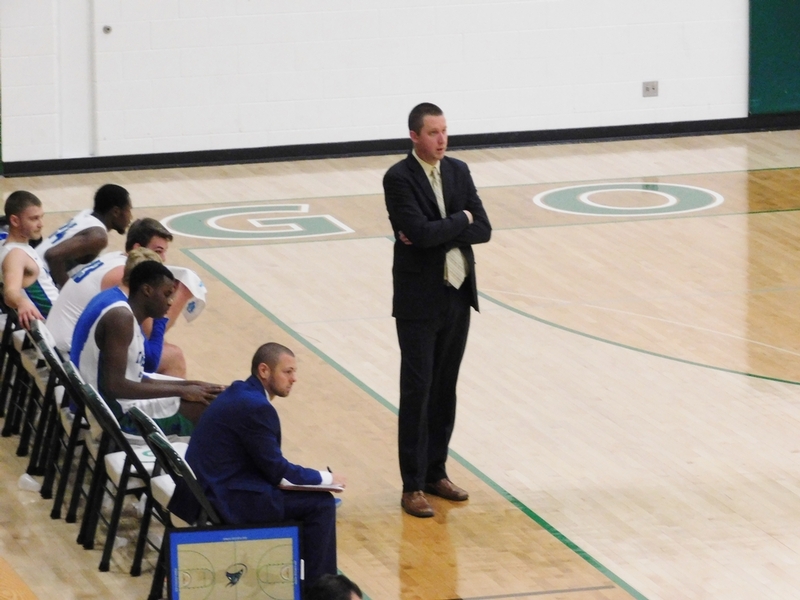 IRONWOOD---The Bay College men's basketball team scored a modern school record 101 points and beat the Hibbing (Minn.) Cardinals, 101-78, Saturday at the Lindquist Holiday Classic at Gogebic Community College in Ironwood. 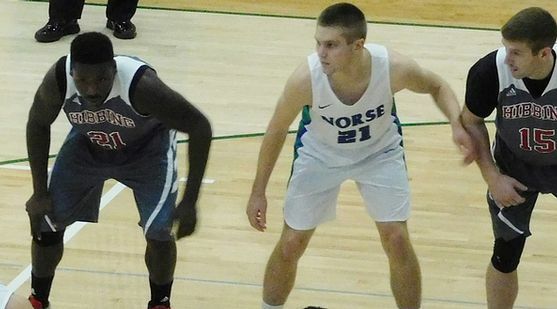 Five Norse players reached double figures, led by Tyler Willette's 23 points. 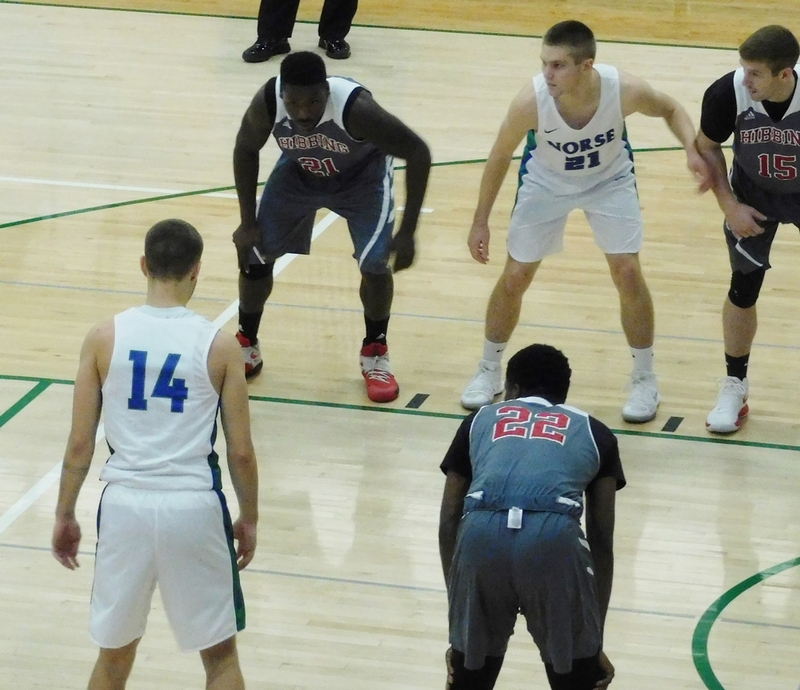 Bay pounded the ball inside early on to get the Cardinals' top player, Aaron Musburger, into foul trouble. 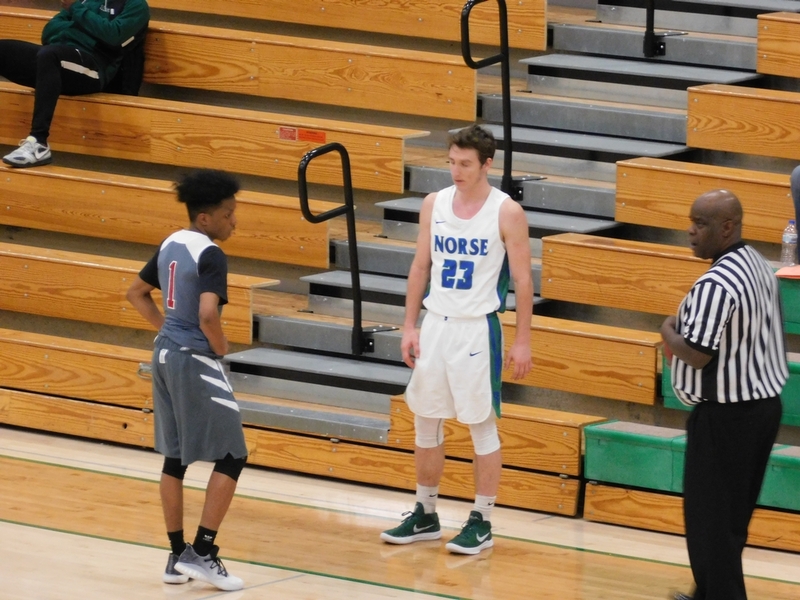 The strategy worked as Kobi Barnes and the rest of the Norse "bigs" moved the ball inside, and Musberger had to sit the bench with three fouls and no points. 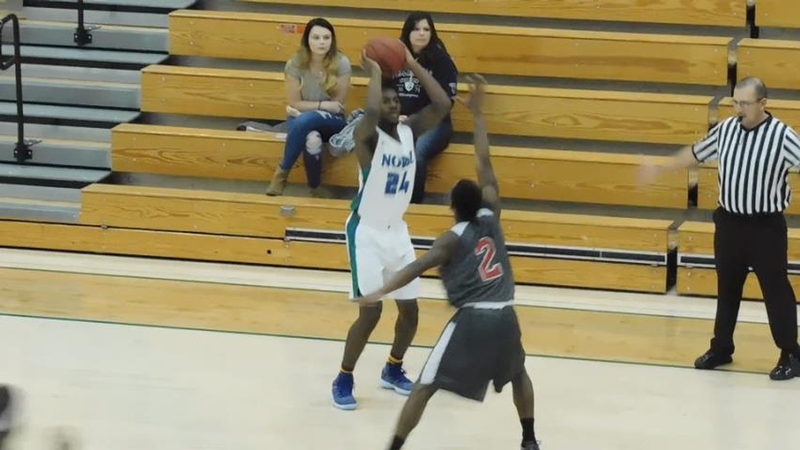 Then in the second half, after Musberger scored ten points, Mid Peninsula graduate Damian Richmond caught Musberger in the air, landing him his fourth foul. Musberger would eventually foul out with 11 points in just 14 minutes of court time. 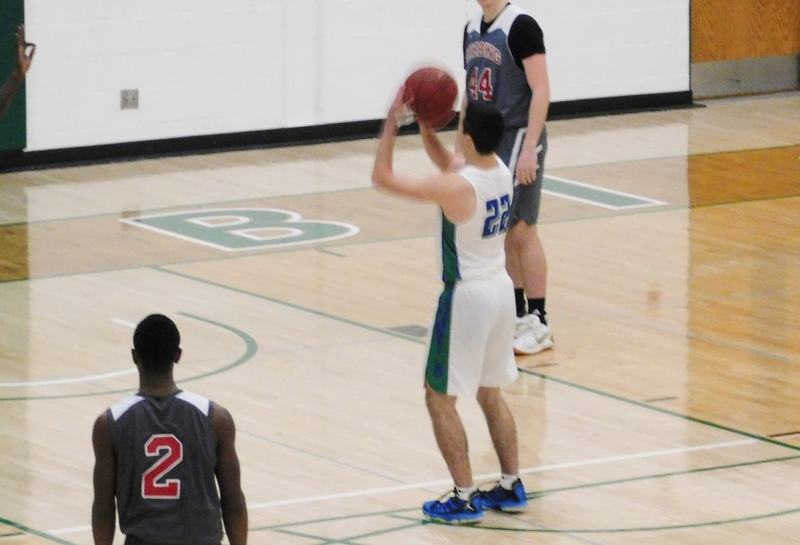 At the other end, Willette continued his early-season surge by cutting to the basket and taking nice passes from Dre Tuominen, Marcus McKenney, and Barnes. 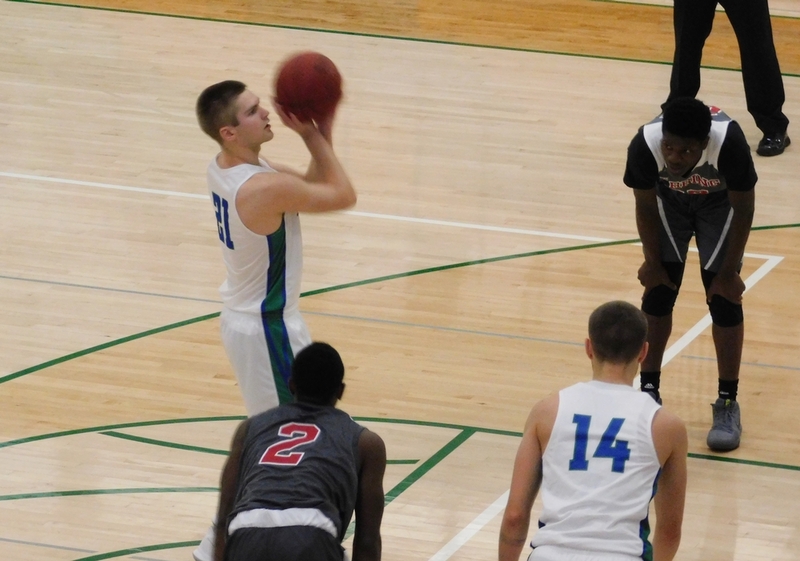 Willette , an Escanaba High School graduate, scored 18 of his points in the first half. McKenney, a Menominee High School graduate, was on target, making six of the seven shots he took. He finished with 16 points and grabbed eight rebounds. Barnes continued to impress inside the paint, and on the baseline, putting up 17 points and pulling down seven rebounds. Richmond scored a career-high 13 points, including nine of eleven from the foul line. 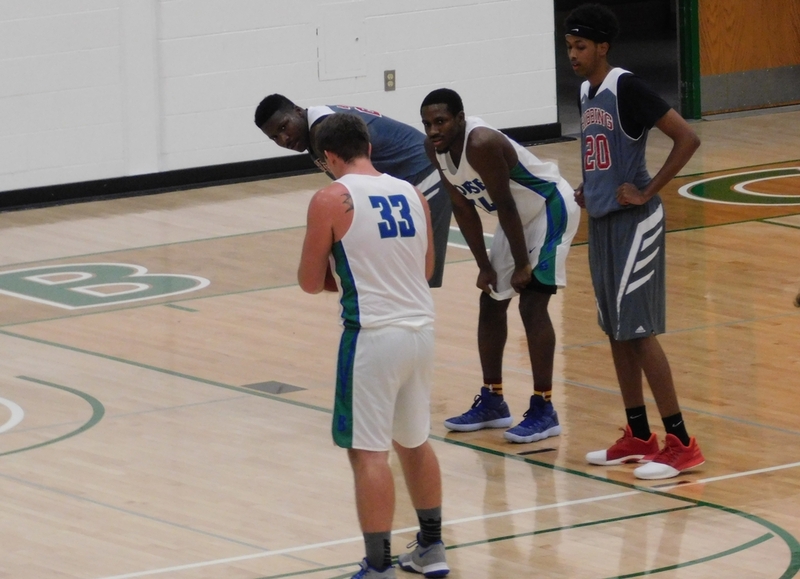 Bay College made 34 of 46 free throws in the contest. Rasonte Smith had ten points. 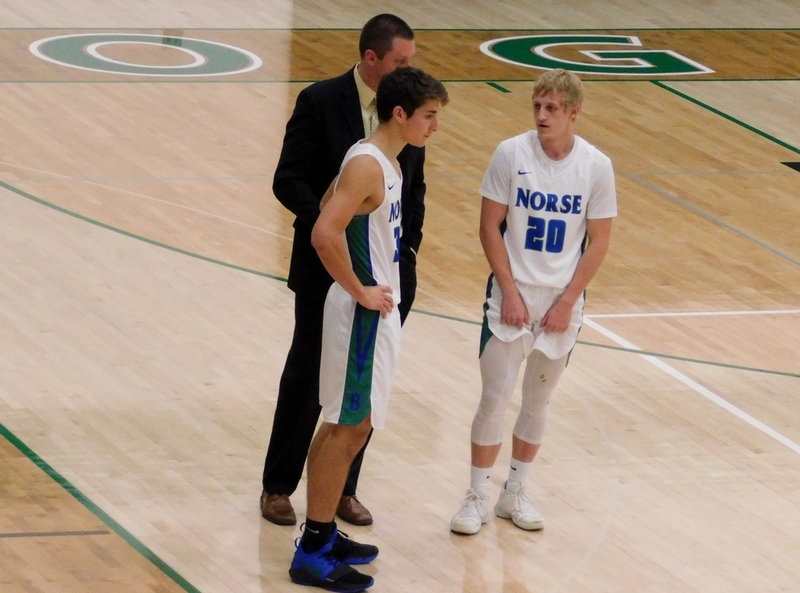 All eleven Norse players who are on the trip scored. Bay led just 33-30 before closing the first half on a 19-5 run, keyed by Willette. 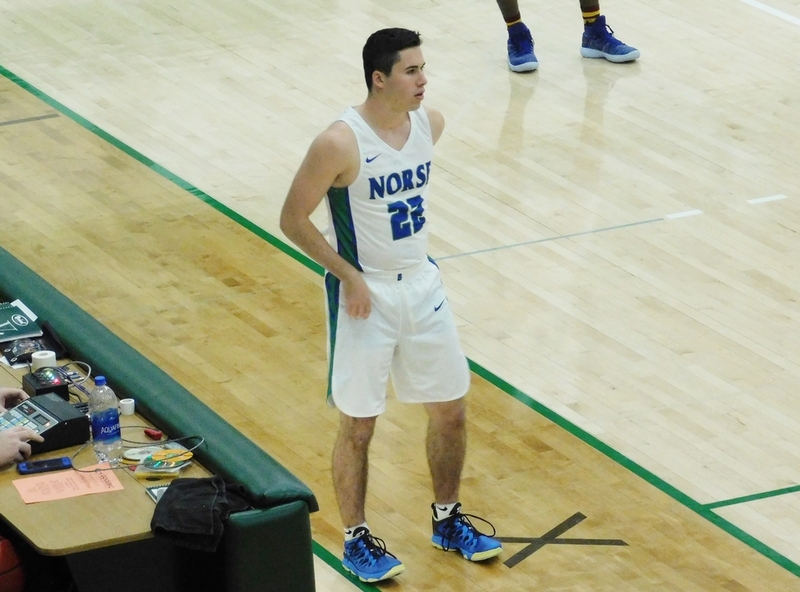 Then after Musberger got hot to briefly bring his team to within twelve points, the Norse switched to a full-court press defense andwent on another 11-1 run to put the game away. 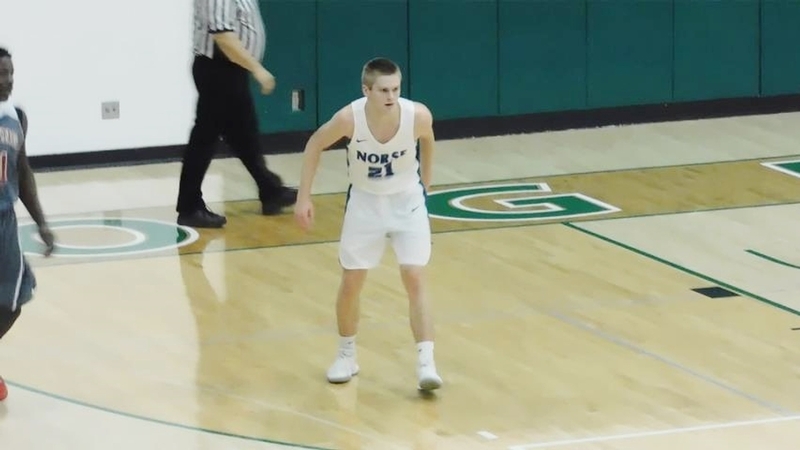 The win was sweet for Norse Head Coach Matt Johnson, who coached the Cardinals for eight years before coming home to Delta County. Bay improved to 5-3 on the season after suffering three tight closes to begin its first campaign in four decades. 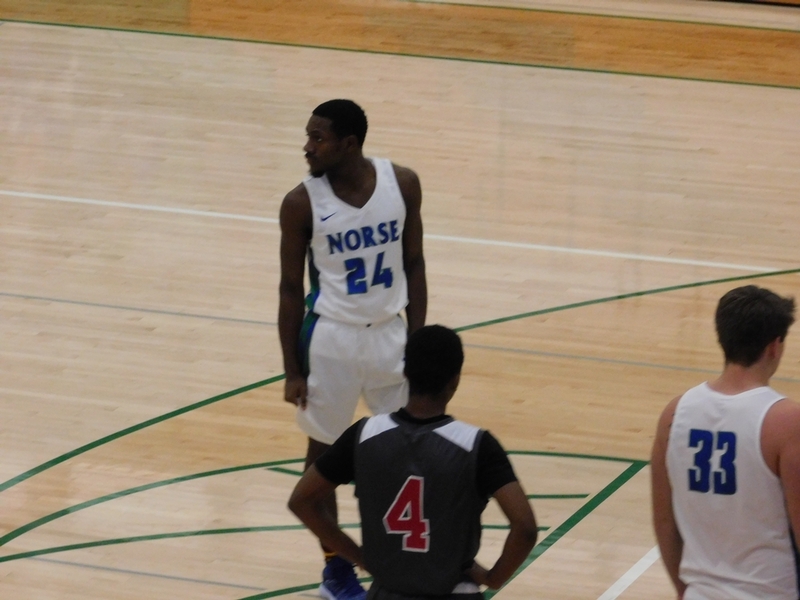 The Norse return to action on Sunday with a game against UW-Sheboygan, which lost to Gogebic Community College, 82-75, in Saturday's late game. Tip-off on Sunday is scheduled for 1:00 ET on WMXG-FM (Maverick 106.3) and on-line at www.radioresultsnetwork.com. Click the thumbnails in the ARTICLE HIGHLIGHTS box above to see video highlights and hear interviews with Barnes, Richmond, and Johnson.